A collection of mermaids (and a merman) from around the world. Sculpture of a mermaid on the Coast of Holland. Some unexpected sea life stranded by the tide on Koh Rok, Thailand. The not-so-pretty Mermaid at Finn Slough in Steveston, BC. 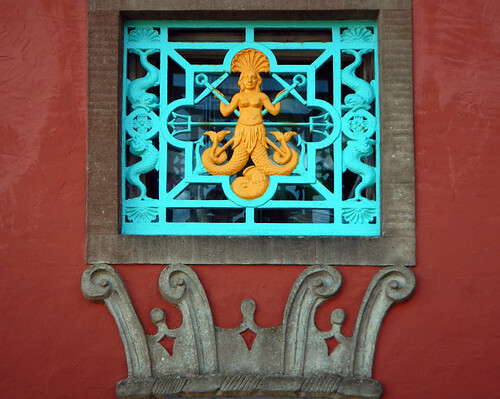 Colourful window grating featuring a fanciful two-tailed Mermaid in the village of Portmeirion, Wales. 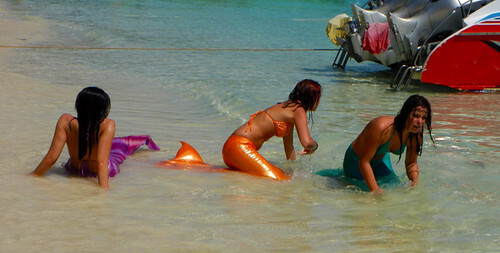 Mexico seems to specialize in mermaids, only there they call them ‘sirenas’. These two shots were taken on the along the Malecon (seawall) in Puerto Vallarta. 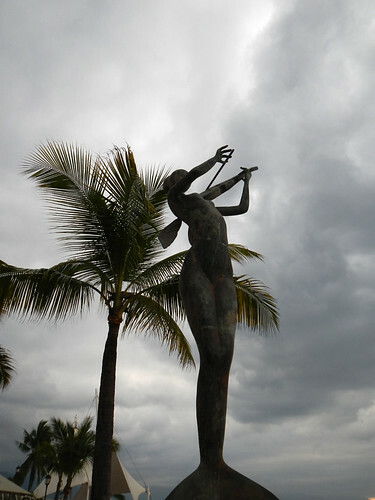 The first is a mermaid playing a violin-like musical instrument. 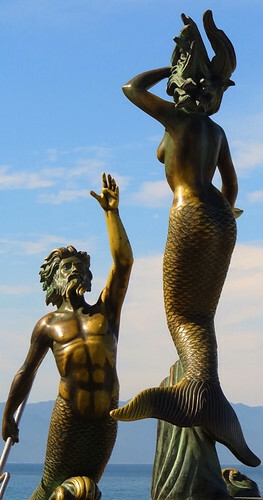 A mermaid and merman on the Malecon. Mexican folk-art fish with a happy bald mermaid dancing her way through the waves, carved out of wood and painted. Sculpture of a mermaid by the artist Bustamente in his gallery in Tlaquepaque, Mexico. 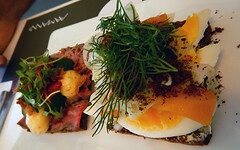 More on Cee’s Fun Foto Challenge: Two ‘M’s in the Word. I love these mermaids from around the world! 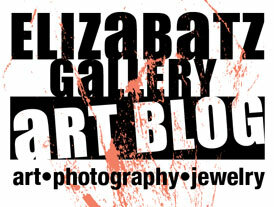 Very interesting post and shots. I enjoyed not just reading this but also viewing the photos and seeing the different real-life merfolk. Thank you for sharing.